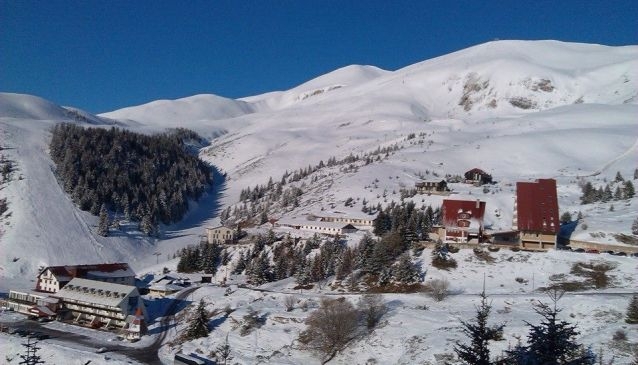 The most popular Ski Centre in Macedonia bears the name Popova Shapka and it is situated on the Mountain Shar on 1700 metres above sea level. The visitors here can enjoy completely relaxed time in tranquility away of the city noise and traffic. Popova Shapka is a beautiful tourist destination where the nature is outstanding and impresses the visitors with all shapes and colours it offers. The Centre is attractive through the whole year and thus it is visited by both locals and travelers from Macedonia and all over the world. During the winter you can have unforgettable time with your friends or family while skiing and enjoying the snow and the fresh winter air. However, there are many activities and attractions which make Popova Shapka a magnificent place during the summer and spring days. You can avoid the high temperatures and relish pleasant ambiance and climate in a pure and natural environment. During the summer period all those who love biking can rent a bike or bring theirs and have unforgettable time while observing the nature. Furthermore, the visitors can relish time walking and climbing at the same time capturing breath-taking views of the splendid surrounding.